We even provided our visitors with a goalkeeper when they lined up with Ben Woodhead between the posts. Ben has been a scholar with the club but, despite speculation, there is to be no contract for him at Turf Moor and he's been training with the Wirral club. With Josh Cook on the bench for us, one of the trialists Nick Liversedge was in goal but on a night when he had just about as much to do to occupy him as Brad Friedel had in the Spurs v Blackburn game yesterday it is difficult to judge him. The one trialist who did stand out was Paul Jetta. His use of the ball at times was excellent and he looked very accomplished in the midfield. In truth we were much better than Tranmere on the night and we stepped up our game once we'd moved Wes Fletcher into a more central role after he'd started wide on the left in a 4-5-1 system. Wes was very much involved with the first goal. He played in Mehdi Lazaar on the right of the penalty box with a delightful ball. The Belgian, who is returning from a long term injury, looked to have lost the opportunity to get the ball across but when he did there was Joe Jackson to scramble the ball home from close range. Almost immediately we should have had a penalty for a foul on Fletcher. Referee Beswick was close to the incident, had the perfect view, and only he will know how on earth he didn't give it but it always looked as though a second goal might be on the way. It finally came four minutes before half time and this time Lazaar was the one playing the ball in for Fletcher who netted although Woodhead will be a bit disappointed he didn't do better with it. A two goal lead at half time was a deserved lead and we added to that in the first 90 seconds of the second half. Lazaar again was involved when he again played a ball through with another of the trialists, Chris Clements, a midfielder from Hednesford, applying the finishing touch. At that point it looked as though we'd go and win the game by a big margin but the only goal to come was at the other end when Cole Stockton chipped Liversedge with around twenty minutes to go. Just a minute earlier Fletcher should have extended our lead after Archie Love played him in but saw his shot saved and that led to Tranmere going forward and getting what proved to be a consolation goal. By then both youth team full backs Aryn Williams and Luke Conlan were on. Both have been injured and both were getting a first run out. Unfortunately, right at the end, Williams suffered an injury and we ended the game with ten men. Hopefully he'll be fit for Wednesday at Deepdale. All in all a good result and, after a slow start, a decent game. I'd like another look at Jetta too. 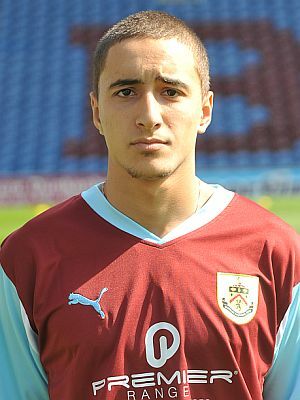 Burnley: NIck Liversedge, Jack Errington, Alex Coleman (Aryn Williams 58), Cheyenne Dunkley, Archie Love, Mehdi Lazaar (Daniel Flores 67), Steven Hewitt (Luke Conlan 58), Paul Jetta, Chris Clements, Wes Fletcher, Joe Jackson. Subs not used: Josh Cook, Adam Evans. Tranmere: Ben Woodhead, Ryan Higgins, James Joyce, Michael Kay, Will Vaulkes, Mark Beech (Oscar Durnin 51), Lewis Dunne, Max Power, Cole Stockton, Joe Conchie, Jake Kirby. Subs not used: John Holmes, Nathan Jones, Jordan Holmes.